ISO 22716:2007 is the international standard that gives guidelines for cosmetic production, control, storage, and shipment in compliance with Regulation (EU) No. 1223/2009. Responsible Person shall ensure the conformity of every batch of the cosmetic product he places on the market. The compliance to the GMP is one of the obligations of the Responsible Person (art. 5) and the declaration of conformity by the RP is one of the documents required by the PIF (art. 11), of course the implementation, monitoring, management and demonstration of the application of GMP is a key issue for the compliance of cosmetic products. 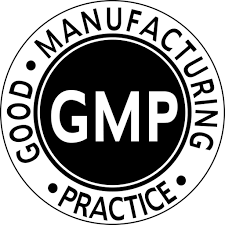 The Good Manufacturing Practices (GMP) describe a list of standard requirements to comply with (instructions, aims, documentations). The manufacture of cosmetic products should respect the GMP but should not be certified necessarily. Audits should be conducted by a team that is aware about critical production parameters designed for the RP specifically for the product. Therefore, the auditors should be experienced (or assisted by a specialized team) in all issues of the Safety Assessment. The audit of the GMP application might be very expensive, especially in case of articulated companies with many manufacturers from different countries. We can help you to guarantee the GMP implementation, to contact the manufacturer directly and, if necessary, to perform audits of the manufacturing plant. The Regulation (EC) 1223/2009 introduces the application of the Good Manufacturing Practice according to the existing international standards therefore refers to the international standard ISO 22716:2007. This standard, which substitutes the local laws, is structured and detailed in a similar fashion to the ISO 9000 standard (currently this fact facilitates the ISO 9000 certified companies, without preventing to anyone to respect the requirements of the GMP regulations). Angel Consulting, thanks to our experience in the field of international standards of good manufacturing practice and our perfect knowledge about quality systems according to ISO standards (ISO 9000 for quality systems and ISO 13485 for medical devices companies), may help you to better understand how to comply with ISO 22716 standard, assisting you (if required and desired) acquiring the certification by accredited organizations.